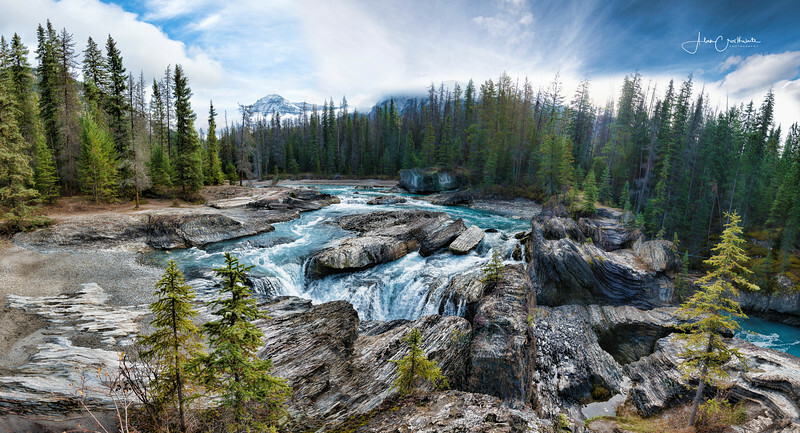 Scenic mages of several National Parks in Alberta and British Columbia, Canada. 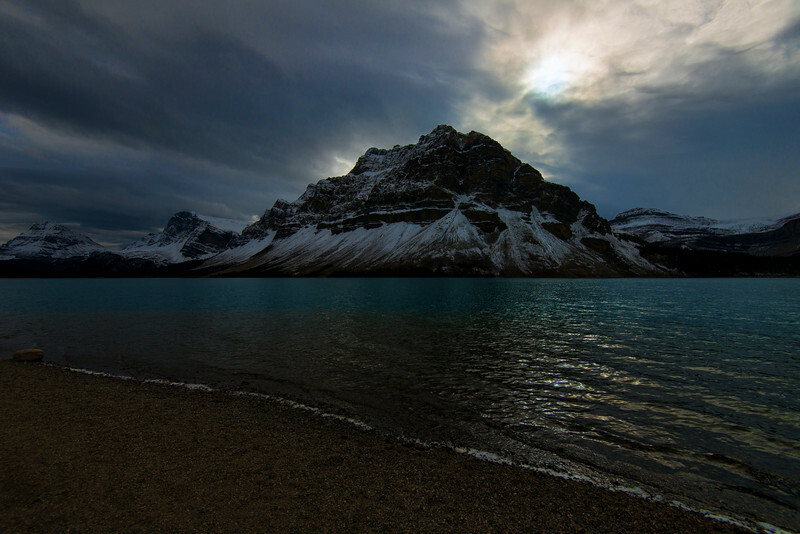 Bow Lake is in Banff National Park, Canada. 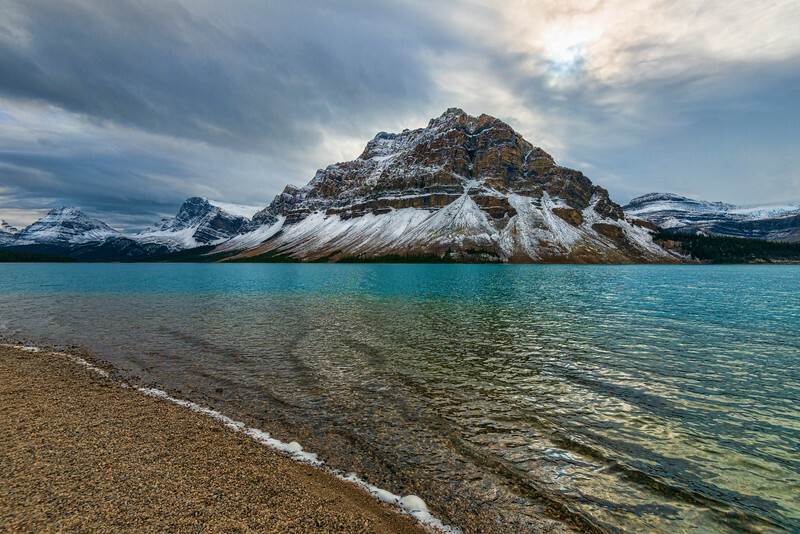 The stunning colors of Bow Lake, Banff National Park, Alberta, Canada. 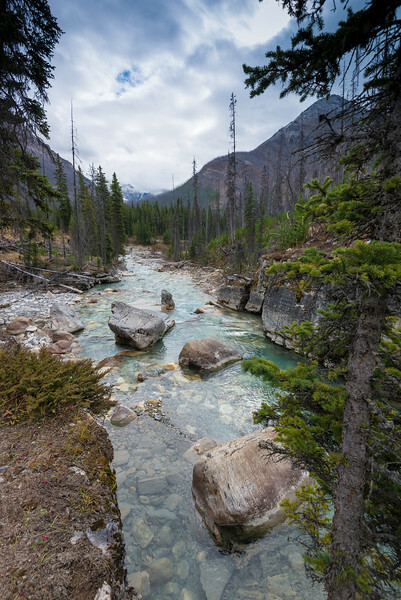 Cascade Ponds, Banff National Park, Canada. Train along river - Banff. 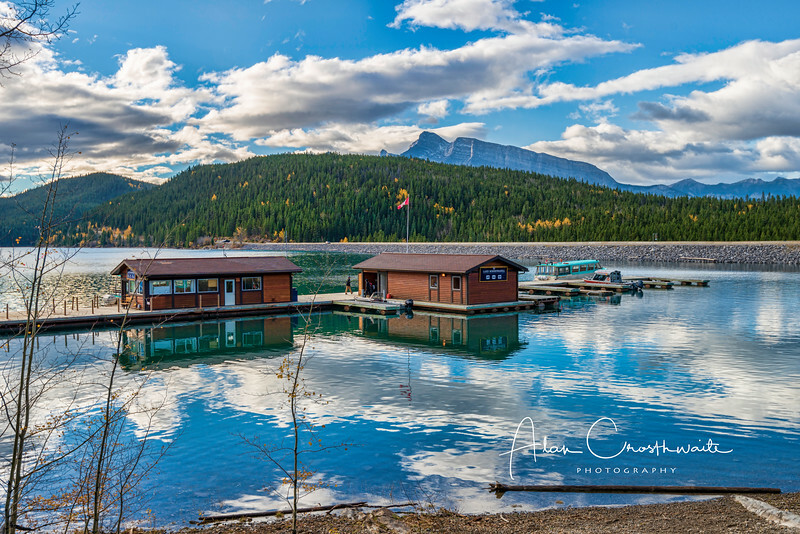 Boathouses at Lake Minniewanka, Canada. Reflective and picturesque Cascade Ponds just outside of Banff, in Banff National Park, Canadian Rockies, Alberta, Canada. Emerald Lake is located in Yoho National Park, British Columbia, Canada. 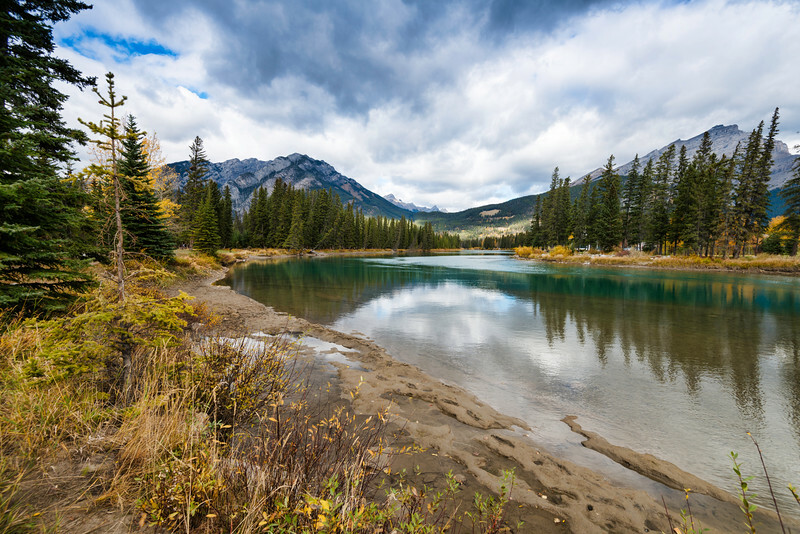 It is the largest of Yoho's 61 lakes and ponds, as well as one of the park's premier tourist attractions. 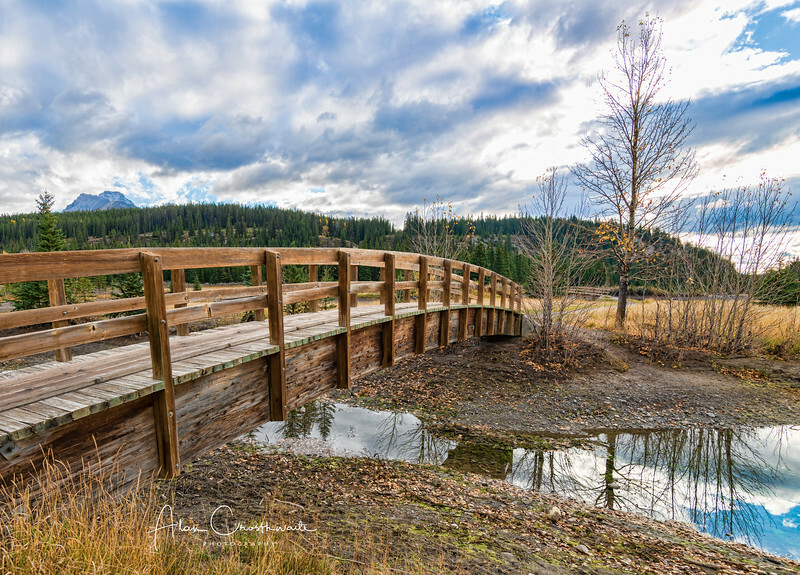 Natural Bridge over the Kicking Horse River near Field, Alberta, Canada. 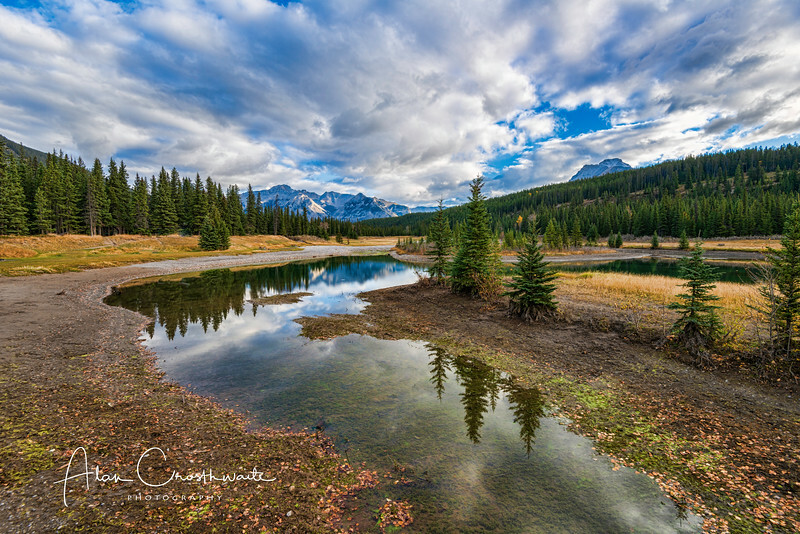 Panoramic reflections at Buller Pond. Snow-capped Buller Mountain in the distance. 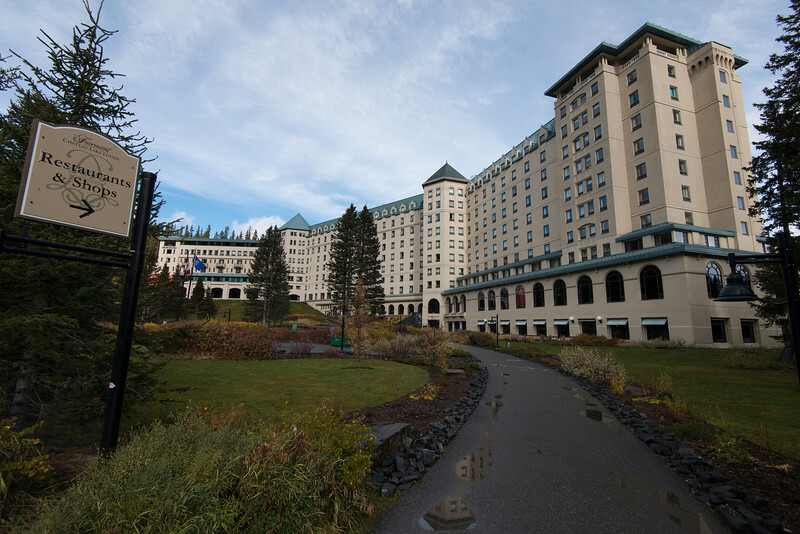 Alberta, Canada. Peyto Lake (pea-toe) is a glacier-fed lake located in Banff National Park in the Canadian Rockies. 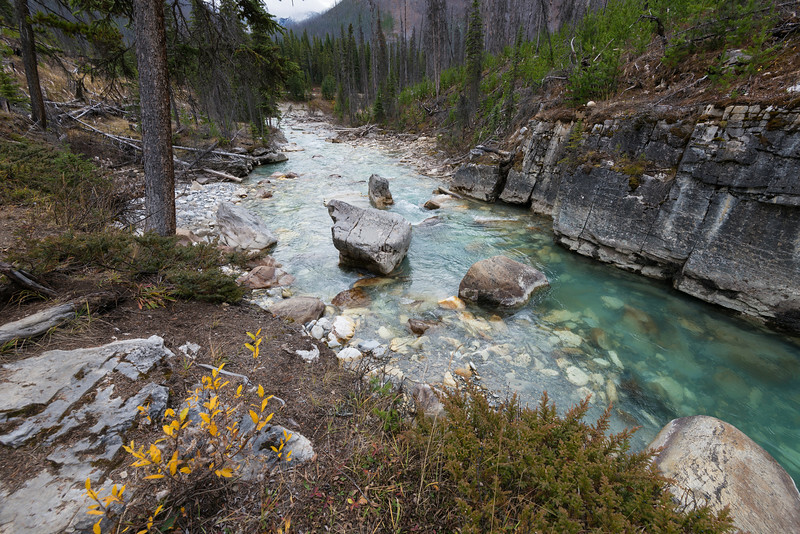 Kicking Horse river is a translucent turquoise color and runs just adjacent to the little town of Field, Field is an unincorporated community of approximately 169 people located in the Kicking Horse River valley of southeastern British Columbia, Canada, within the confines of Yoho National Park. 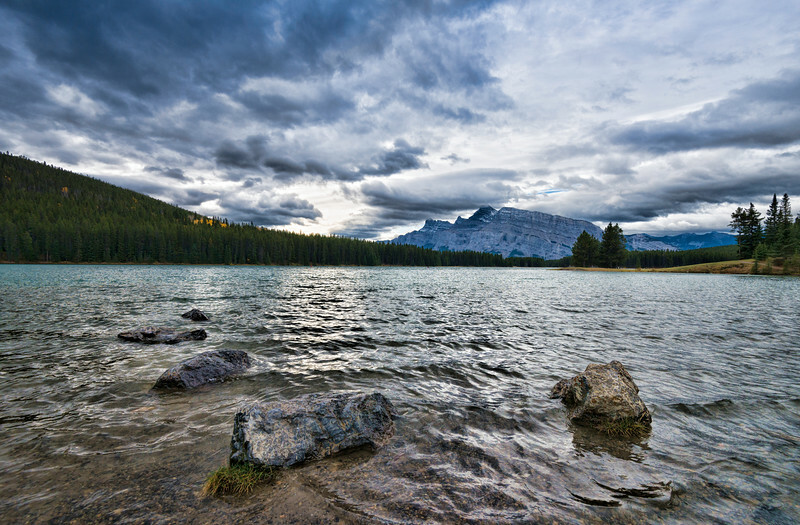 The lake lies south of the Bow Summitt, east of the Waputik Range (views including Wapta Icefield, Bow Glacier, Bow Peak, Mount Thompson, Crowfoot Glacier and Crowfoot Mountain) and west of the Dolomite Pass, Dolomite Peak and Cirque Peak. 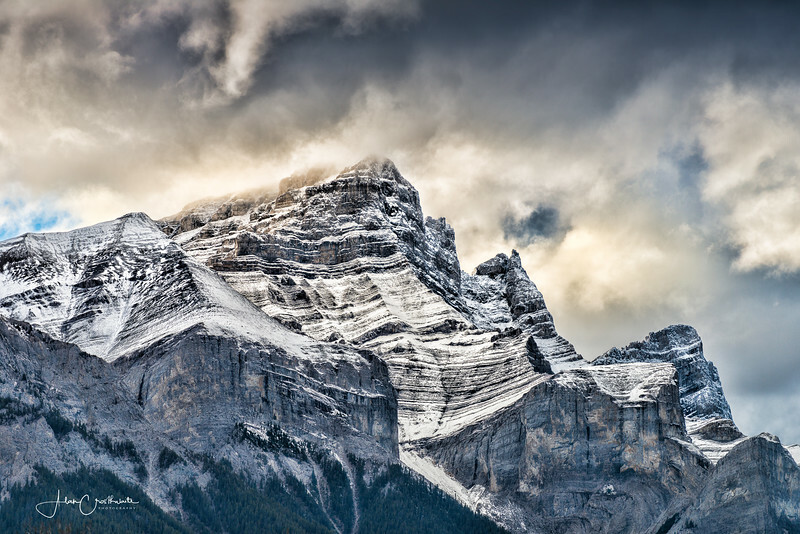 Peaks above the town of Canmore, Alberta, Canada. 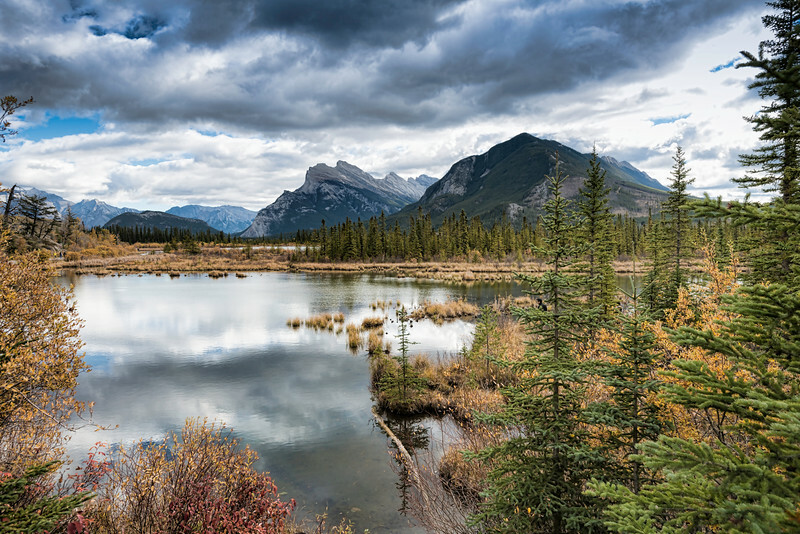 View across Vermilion Lakes to Mount Rundle (middle) and Sulfer Mountain (right) and the town of Banff. 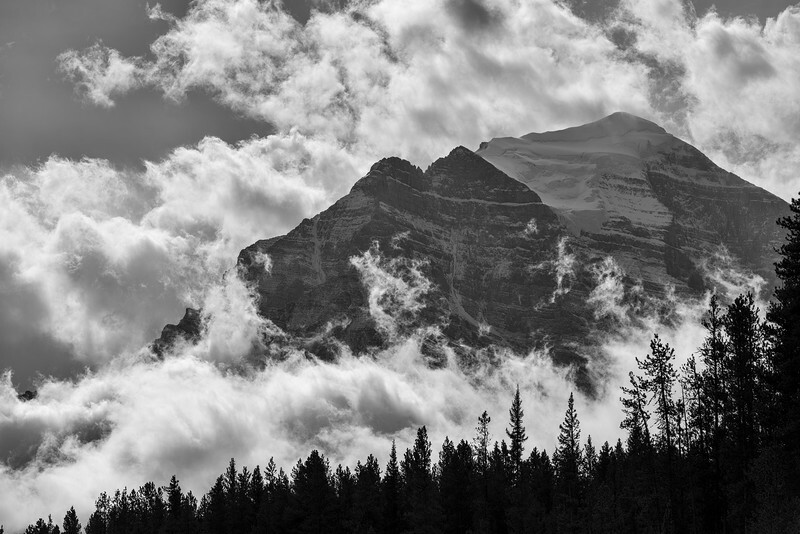 Panoramic image of Lake Louise in Banff National Park, Alberta, Canada. 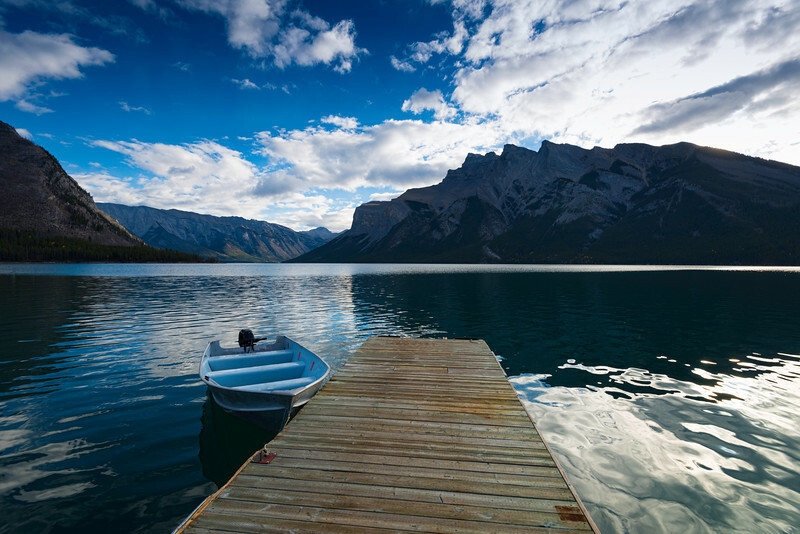 Lake Minnewanka ("Water of the Spirits" in Nakoda) is a glacial lake located in the eastern area of Banff National Park in Canada, about five kilometres (3.1 miles) northeast of the Banff townsite. 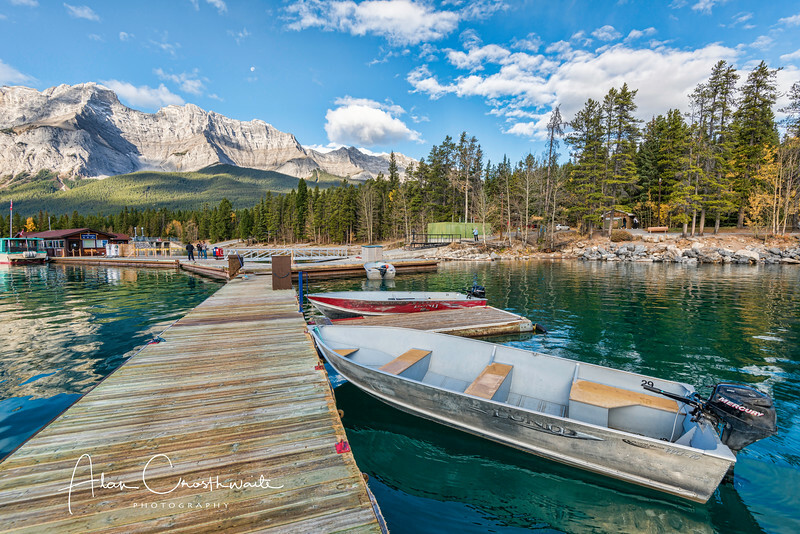 The lake is 28 km (17 mi) long and 142 m (466 ft) deep, making it the longest lake in the mountain parks of the Canadian Rockies (the result of a power dam at the west end). 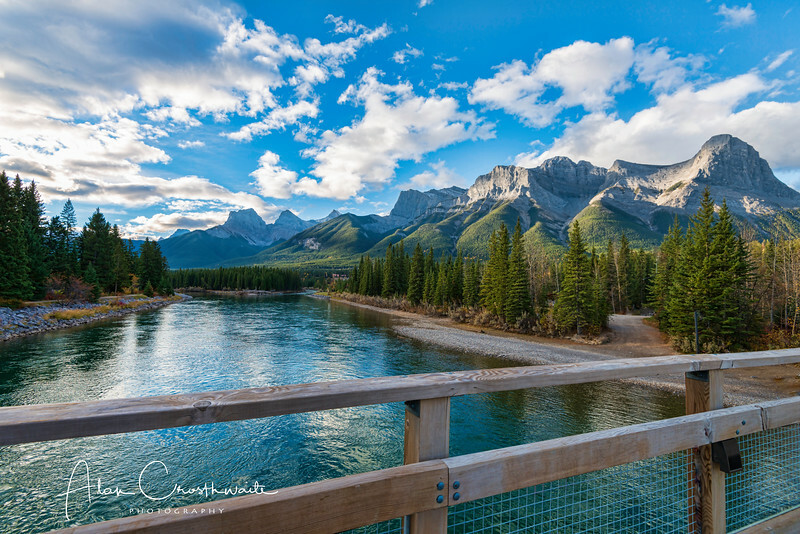 The Bow River runs through the town of Banff, in the Banff National Park, Canadian Rockies, Alberta, Canada. 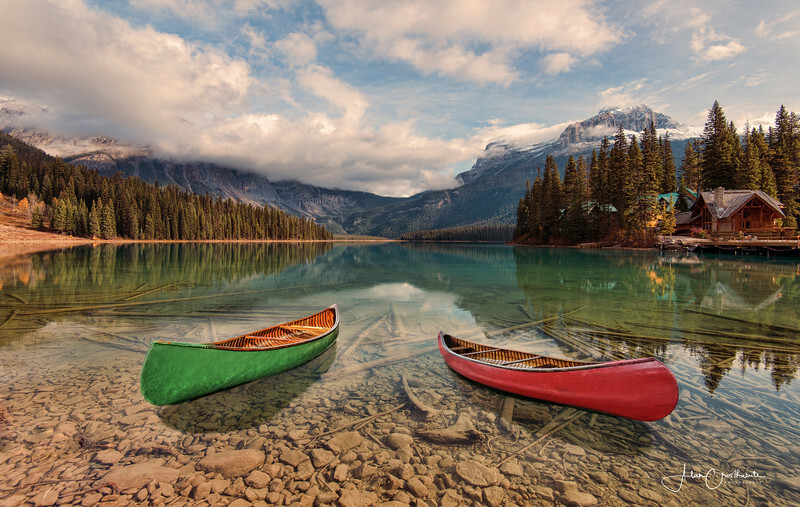 Two Jack Lake, Banff National Park, Alberta, Canada. 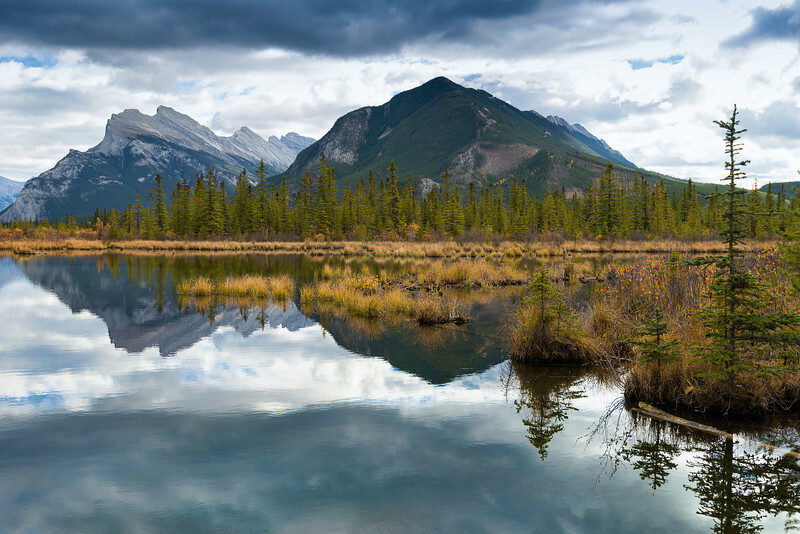 Reflections across Vermilion Lakes with view of Mount Rundle and Sulfer Mountain in the distance. The town of Banff is in a valley generally in the middle of those two mountains. 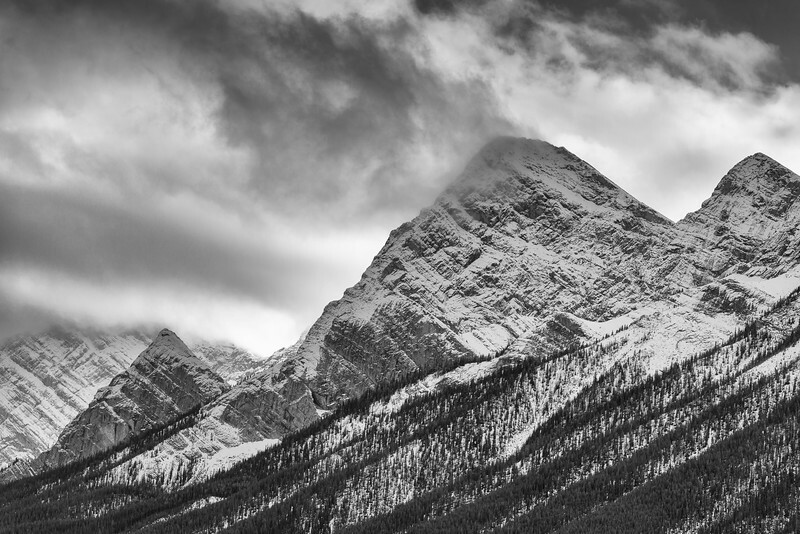 One of the Ten Peaks, Banff National Park, Alberta, Canada. 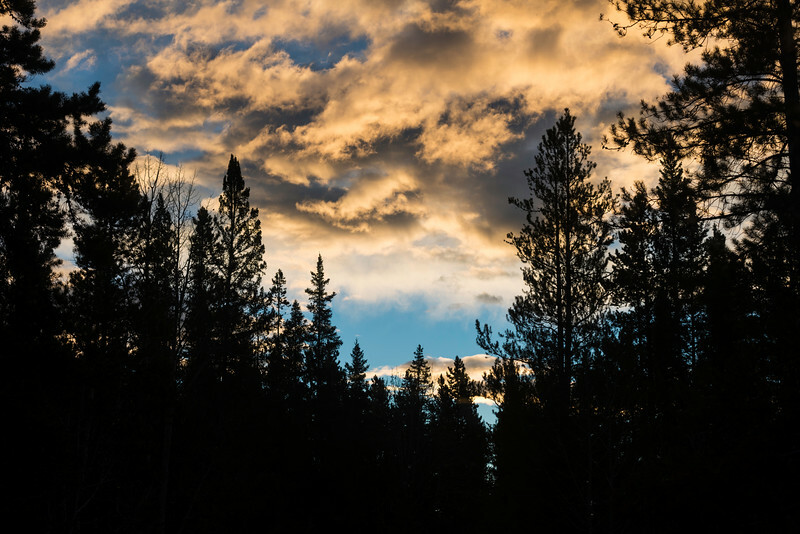 Pretty morning clouds during sunrise in Canmore, Alberta, Canada. 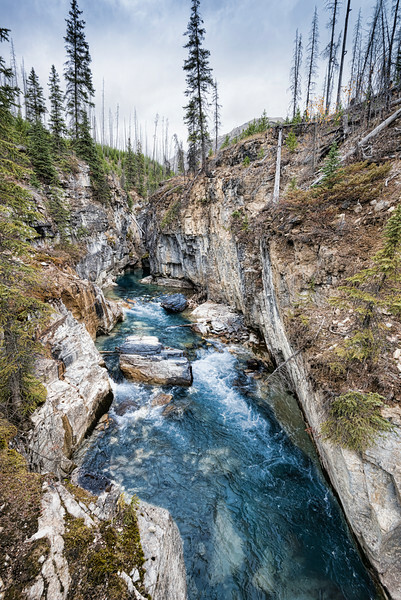 Marble Canyon is a canyon surrounding Tokumm Creek just above its confluence with the Vermilion River, at the north end of Kootenay National Park in the Canadian Rockies of British Columbia, Canada. 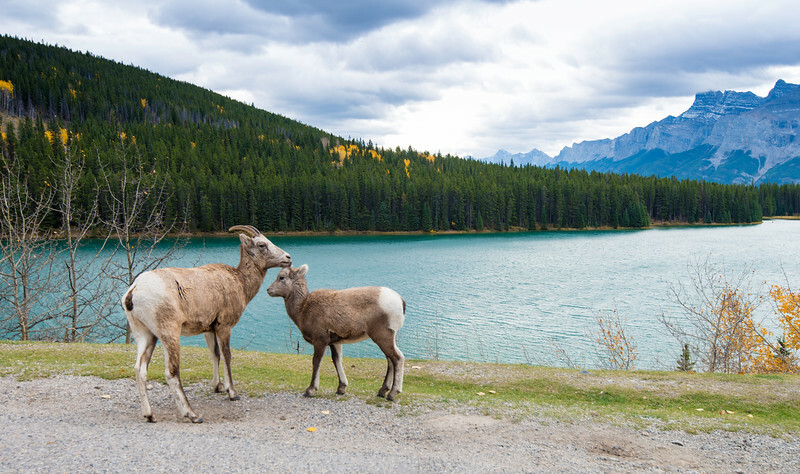 Two bighorn sheep at Two Jack Lake in Banff National Park, Alberta, Canadian Rockies, Canada. 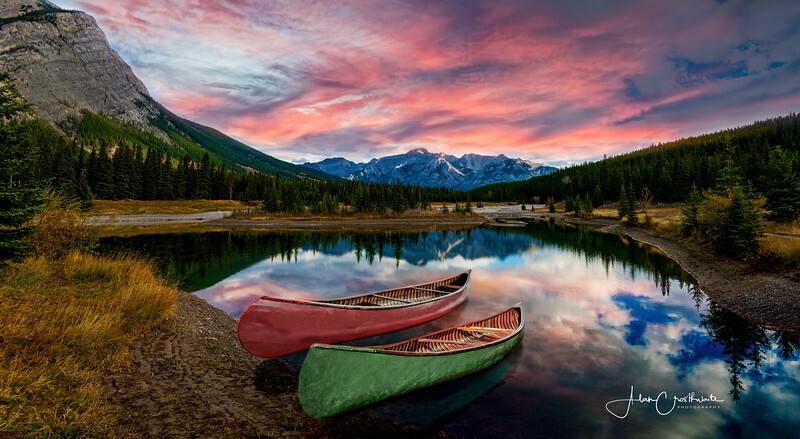 Picturesque Two Jack Lake in Banff National Park, Alberta, Canada. 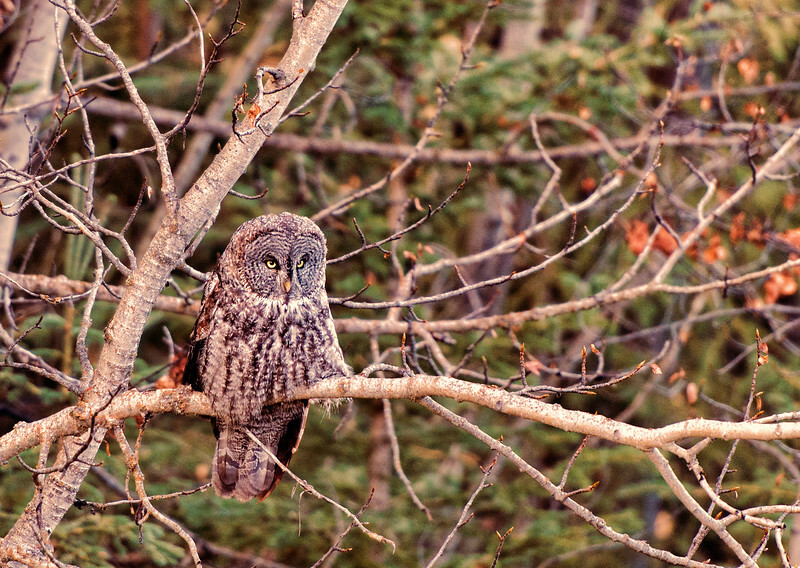 An owl on a perch. 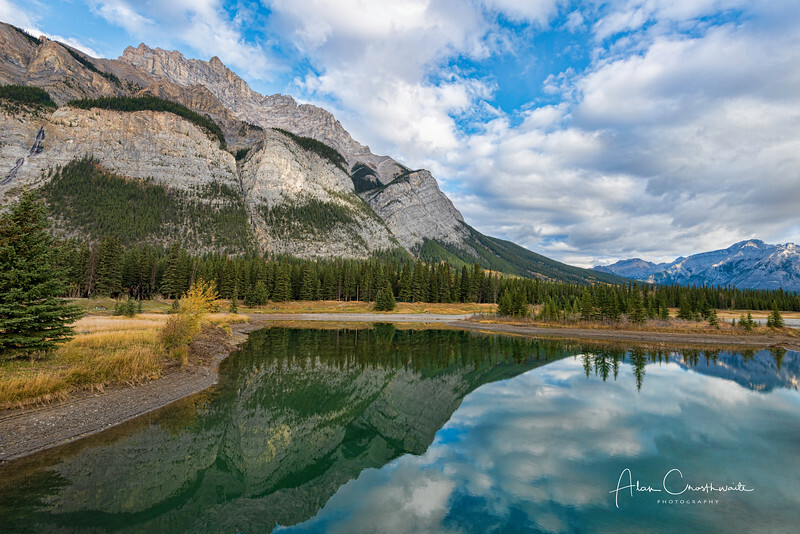 Kananaskis Country is a park system situated to the west of Calgary, Alberta, Canada in the foothills and front ranges of the Canadian Rockies. 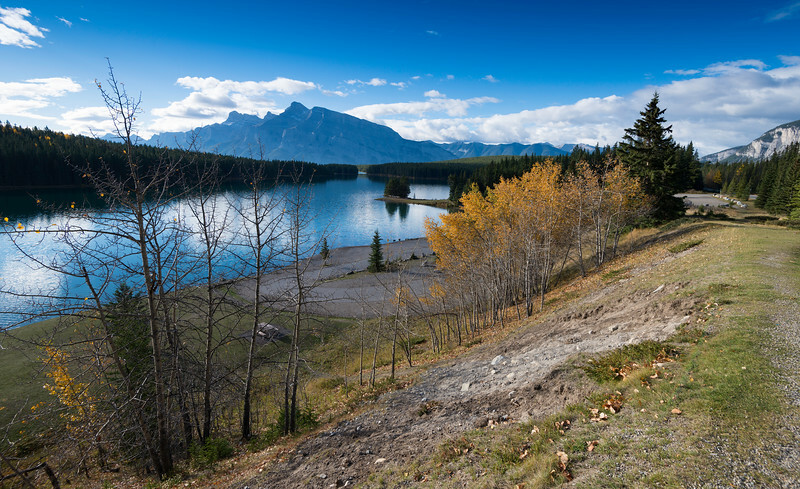 Panoramic of spectacular Bow Lake in Alberta Canada's Rockie Mountains. 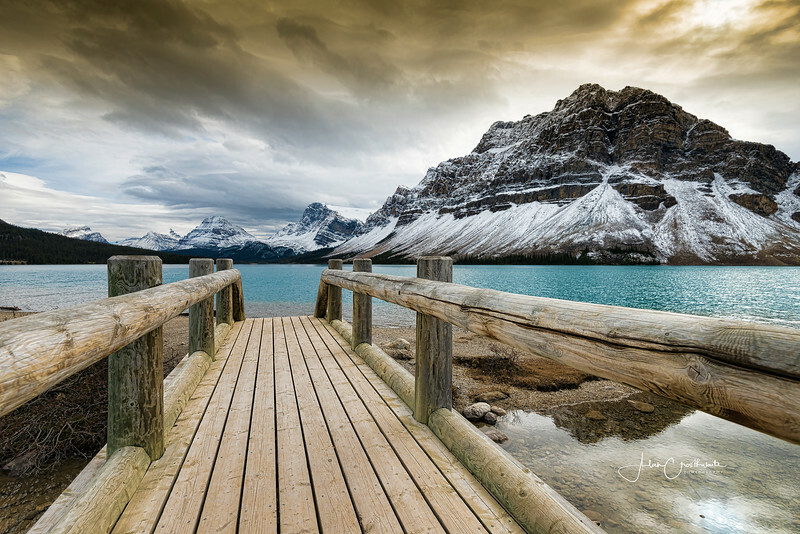 Bow Lake in Alberta Canada's Rockie Mountains. 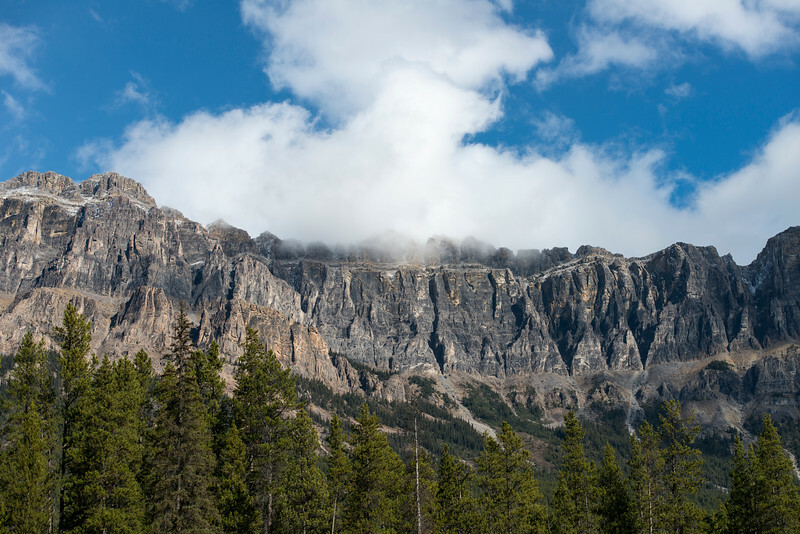 The soaring heights of the Castle escarpments, Bow Valley Parkway, Alberta, Canada. 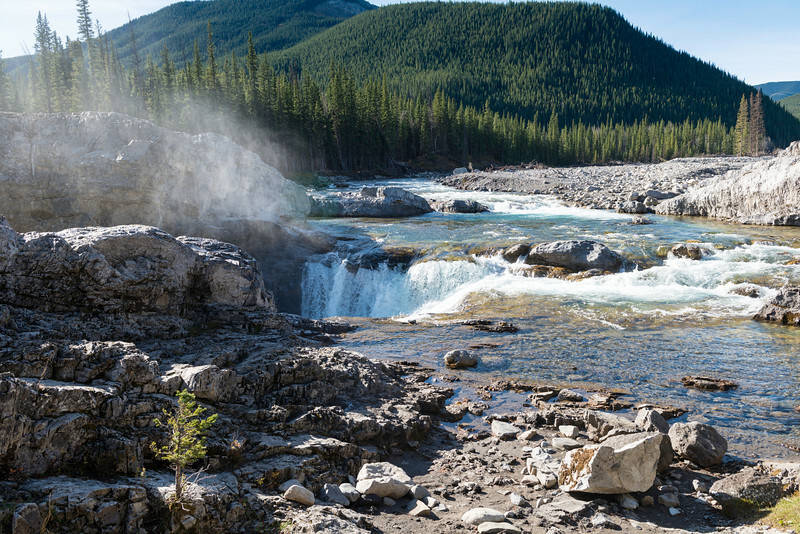 Elbow Falls is a small set of waterfalls along the Elbow River, west of the hamlet of Bragg Creek within Kananaskis Improvement District, Alberta. 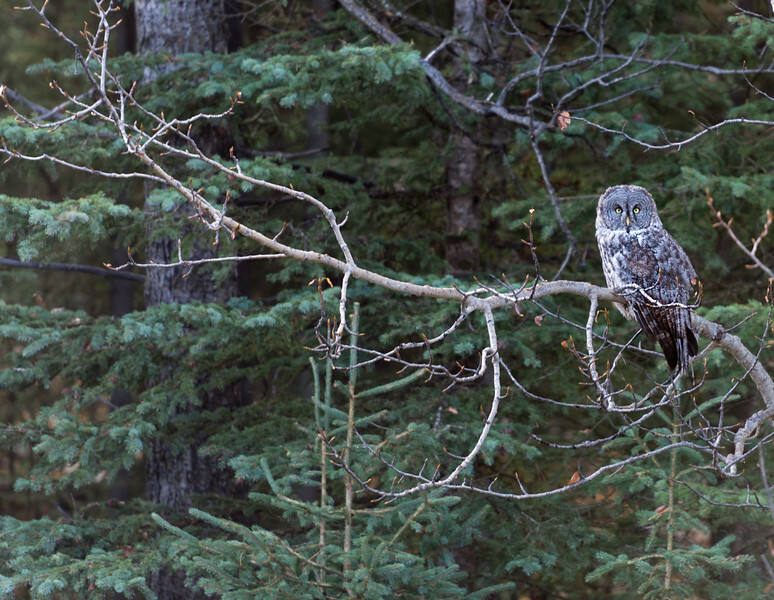 They are located along Highway 66, 20 km (12 mi) west of the Bragg Creek turnoff on Highway 22. 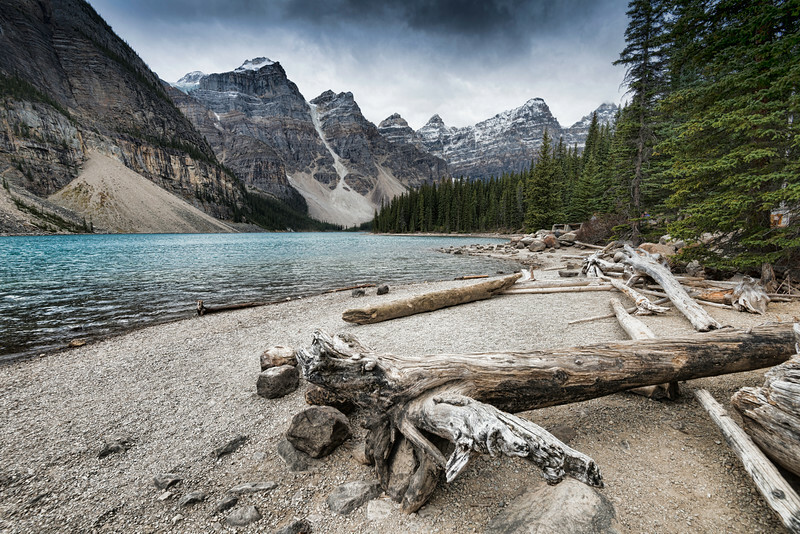 Moraine Lake is a glacially-fed lake in Banff National Park, 14 kilometres (8.7 mi) outside the Village of Lake Louise, Alberta, Canada. 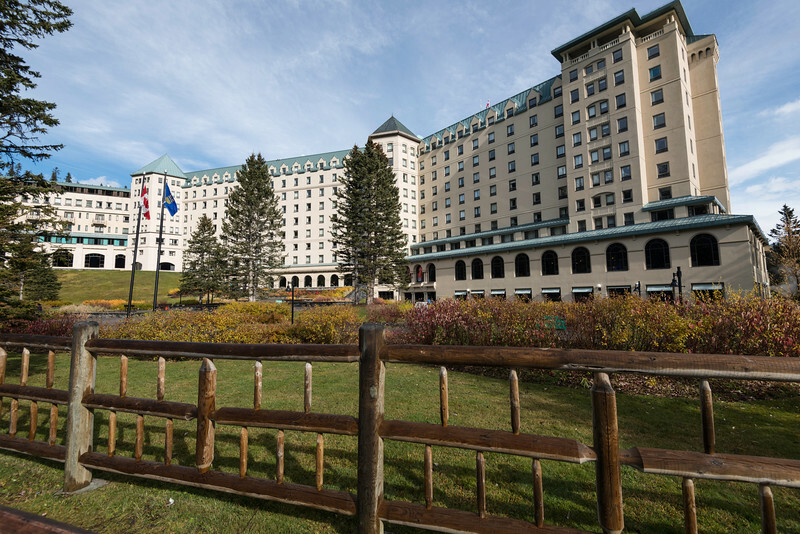 It is situated in the Valley of the Ten Peaks, at an elevation of approximately 6,183 feet (1,885 m). 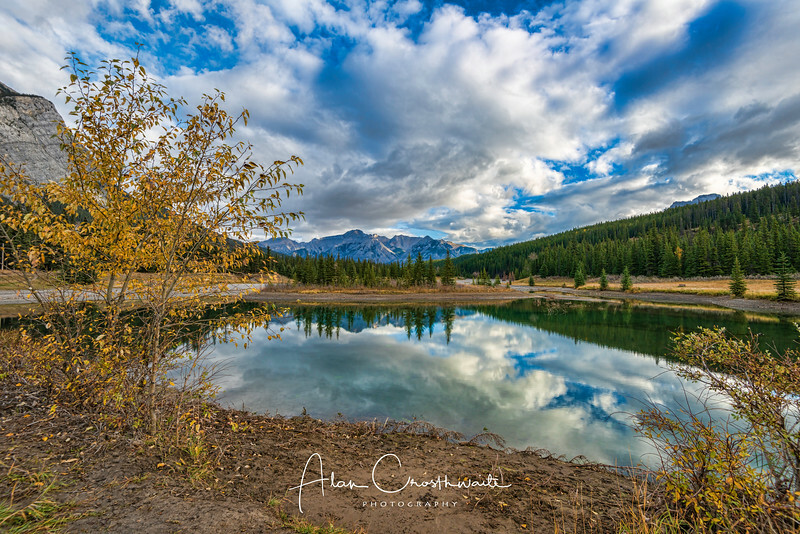 Reflective Mount Lorette Pond, Alberta, Canada. 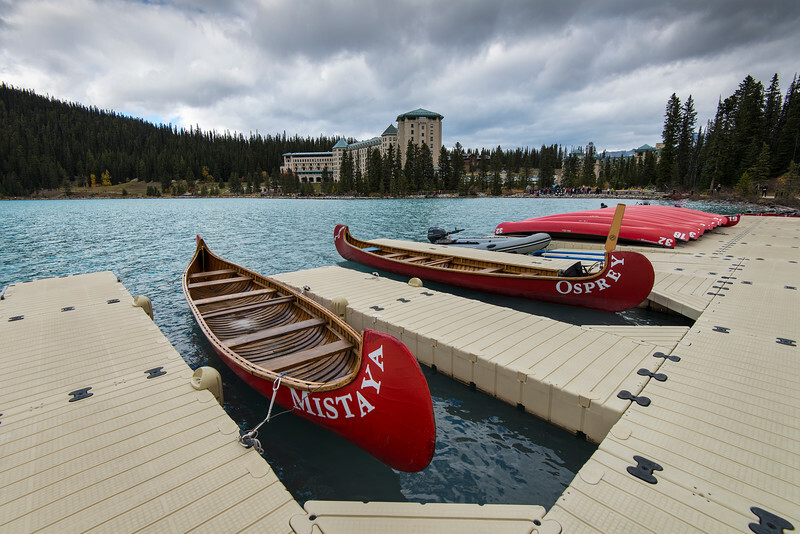 Several rental canoes on the last day of the season at Lake Louise, Banff National Park, Alberta, Canada. 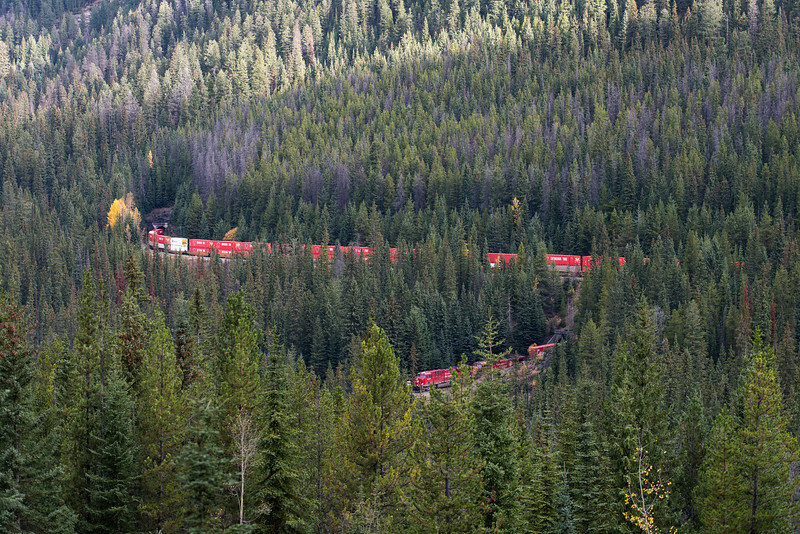 The Big Hill on the Canadian Pacific Railway main line in British Columbia, Canada, was the most difficult piece of railway track on the Canadian Pacific Railway's route. 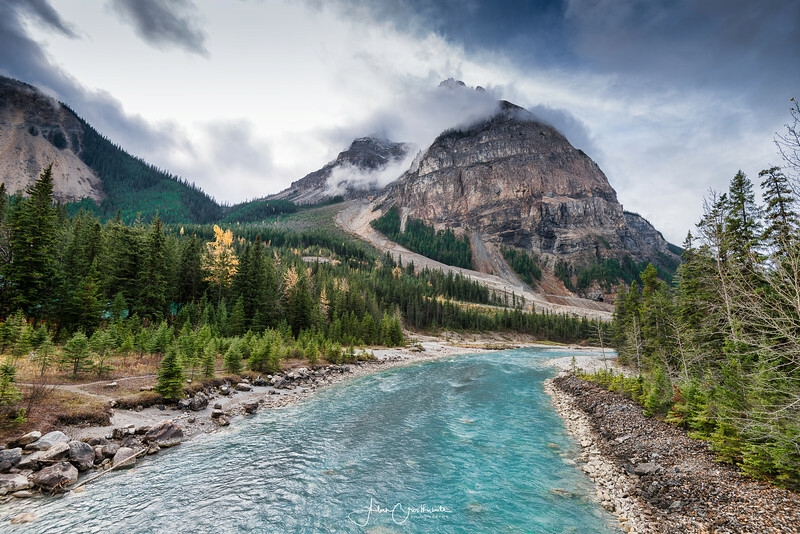 It was situated in the rugged Canadian Rockies west of the Continental Divide and Kicking Horse Pass. Even though the Big Hill was replaced by the Spiral Tunnels in 1909, the area has long been a challenge to the operation of trains and remains so to this day.